We have said it once and we will say it again and again, "We love your furry pup friends just as much as you do!" The Columbia Gorge Hotel & Spa is a Dog Friendly environment! Any dog 25 lbs and below is welcome to accompany you and yours for your special day! We do require a $25 dog fee for each night that your pup stays with us, but that seems a small price to pay to have your favorite pet with on your wedding day! Dress them up, dress them down, however you want your furry friend to look on your wedding day is up to you but for goodness sake do bring them to the Columbia Gorge Hotel & Spa for a fun and beautiful experience! Just the other day I was talking with one of my beautiful friends about her wedding day back in September and I asked her how married life is and how she felt about her Big Day. To my surprise she was a bit perturbed and annoyed about the entire thing, her actual wedding day. Do not get me wrong, her marriage is wonderful and her wedding was beautiful but she was kicking herself because she did not pay for a day of planner. In her mind, she thought it was a superfluous additional cost only to soon realize why one might go ahead and hire a day of planner. Since most Brides get married once, there is no real way to understand the nuances of one’s wedding day. Brides often are unaware what goes into a wedding day; corralling hundreds of friends and family to and from the ceremony site, the cocktail hour, and the reception, timing, announcements, vendor communication etc. It is no easy task keeping a wedding on schedule, that is why there are so many movies about it, The Wedding Planner, 27 Dresses etc. These are pretty accurate portrayals of what wedding planners do all in a day’s work. A wedding can run fluidly and smoothly without a day of coordinator but directing, communicating, running around, etc. all becomes the responsibility of the Bride and Groom on their special day. Like everything, you can DIY your wedding day, but why would you want to? My friend said she would never want to ask a family member to act as day of coordinator either because it is not fair, especially if you do not plan on paying them for essentially an entire day’s work. And she is not wrong, all the weddings I have planned I have arrived at the Hotel at 10am and am on my feet moving, directing and communicating with hundreds of people until 9pm or 10pm that dame night. A wedding planner’s day is a 12-hour day or more and if you are wearing heels, you are bonkers. The amount of running around is not conducive to heels, be smart, wear flats. As a wedding planner at the Columbia Gorge Hotel and Spa we are your liaison between all the moving parts of your wedding day while you relax and are getting pampered and ready for your big day. We check in with you, we tell your guests where to go, we set up the decorations should you need that service, we have timelines and keep your day organized and smooth. We time the DJ and ceremony service, we are your personal assistant for one of the biggest and most special days of your life, and we do not charge any additional fees for day of help at the Columbia Gorge Hotel & Spa! When budgeting you always have options to save money in certain areas to provide cash flow for other areas. My sweet friend said that she already saved a lot of money by DIYing most of her wedding and she truly wished she had someone there to keep tempo of the day, to tell guests where to go, to give the photographer a timeline, to just be able to relax and enjoy the day that she married her best friend and the love of her life. Obviously as a wedding planner I am a bit biased, but I do think it is worth it to have someone in charge of your wedding day. 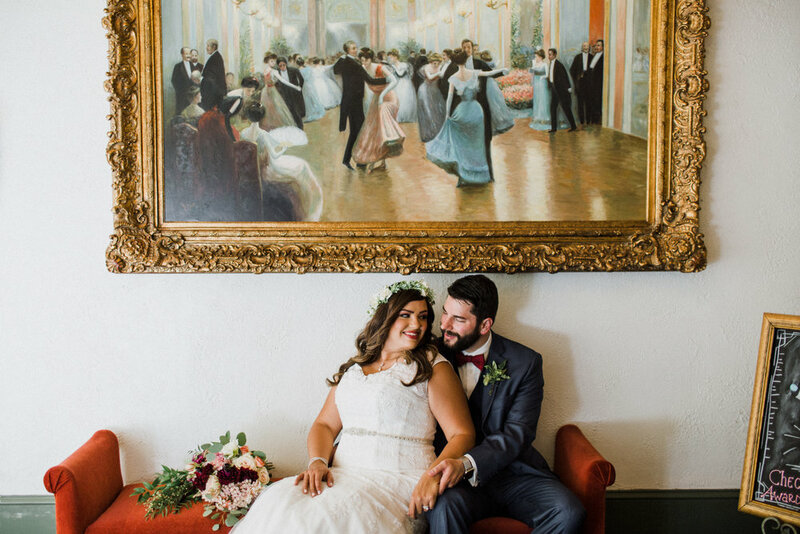 If you book your wedding with us here at the Columbia Gorge Hotel & Spa you are already ahead of the curve since it is our job to cater to your needs and visions for your day, let us assist you in "Creating Your Memory" of a life time!